Looking for a new safe to take care of your security needs? Call Queensland’s leading safes locksmith now on 1800 550 750. Need a safe? Allstrong Locksmiths are Queensland’s number one locksmith for safes. 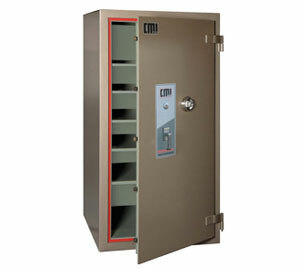 We stock a wide range of the highest quality safes for home and business. We supply, repair, service and open locked safes, and provide expert guidance and advice about which type of safe is suitable for your needs. Best of all, we come to you, so we can fully understand your security needs before offering our professional advice. When you are looking to purchase a safe for home or office, be aware that most “safes” that are available through hardware stores or similar outlets do not have any type of cash rating. They can serve a purpose depending on where they are located, however they are normally easily opened through force and not ideal for storing valuables. If you’re looking to upgrade your current safe to a newer, more secure model, or need advice about purchasing or repairing a safe, call now on 1800 550 750. Need a safe moved to a new location? We can do that too! Call Allstrong’s Safes experts now on 1800 550 750. We come to you 24 hours a day, 7 days a week.